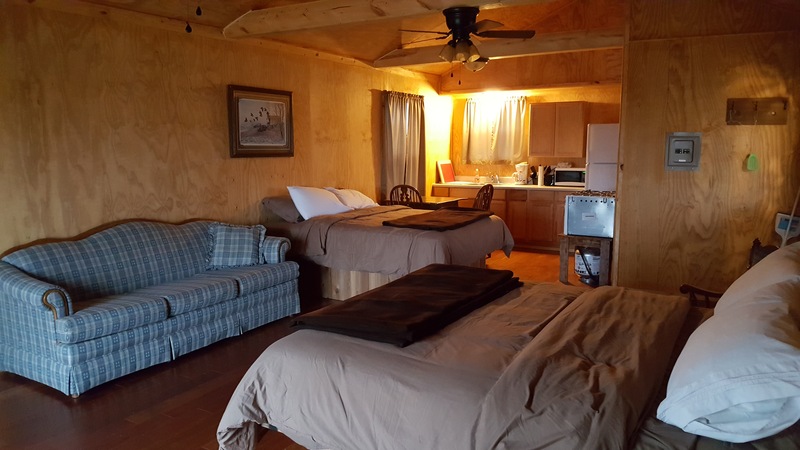 The best cabin rental in Iowa is located just East of Chariton Iowa across from Red Haw State Park. 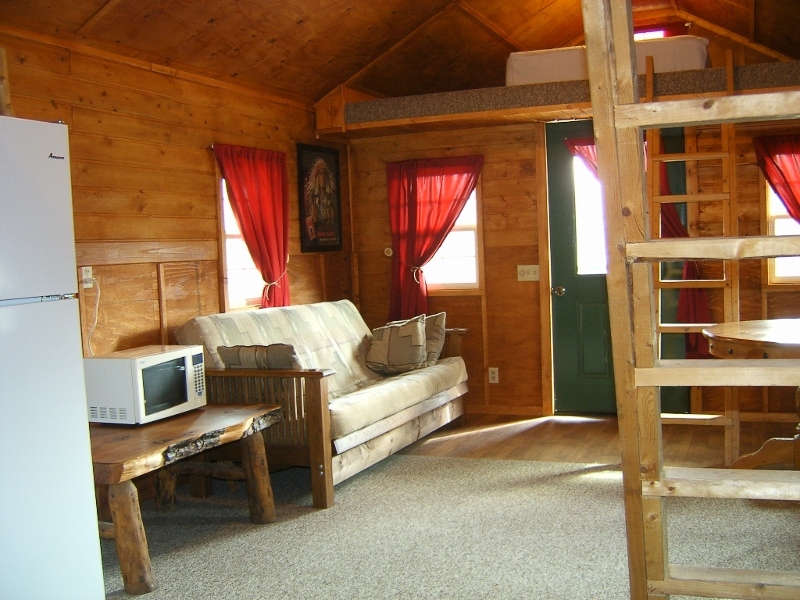 Country Cabins Motel has added six new cabins in the last year and each one has a special theme. The new themes are hunting, Indian, Railroad, Soda Pop Saloon, Military and Well’s Cabin. 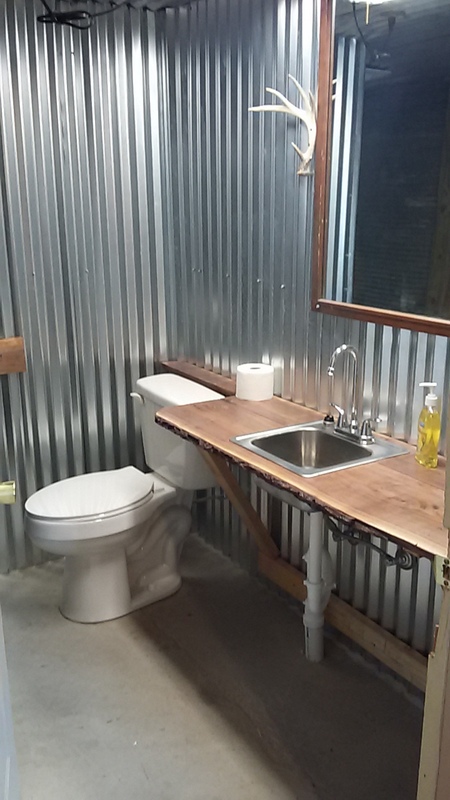 We offer two cabins with lofts and no indoor plumbing for that rustic experience. Don’t worry, there is a brand new shower house just 5′ away. 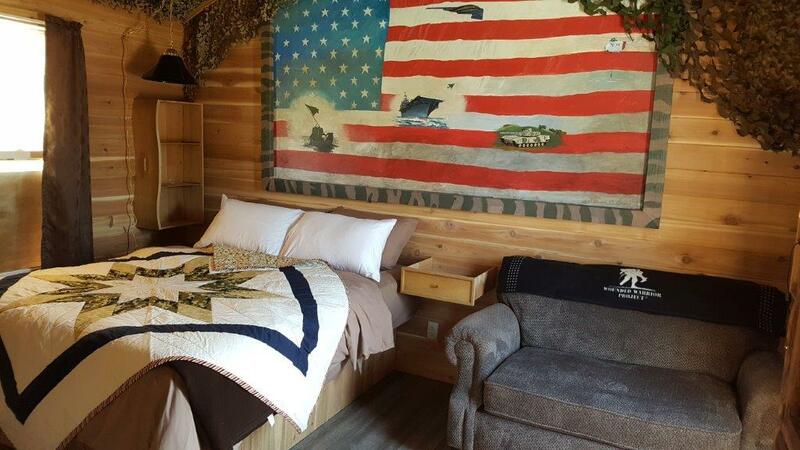 Our new Military cabin is tastefully decorated and we offer one free night per week to a military family. You can be a current or retired military or surviving spouse to qualify. 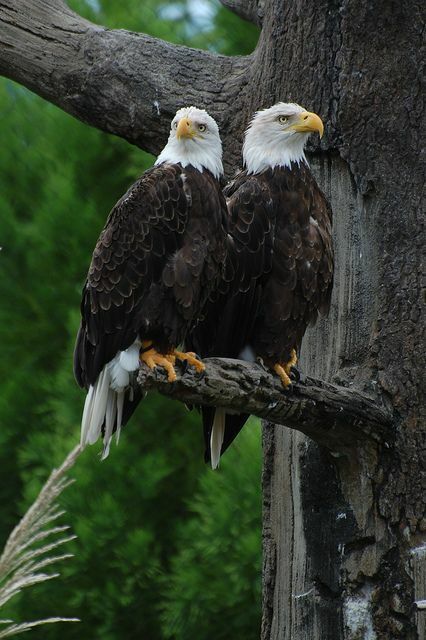 We always give a 10% discount to any military that makes a reservation at Country cabins. The Soda Pop saloon is a replica to the real thing located right next door at the Frontier Trading Post. 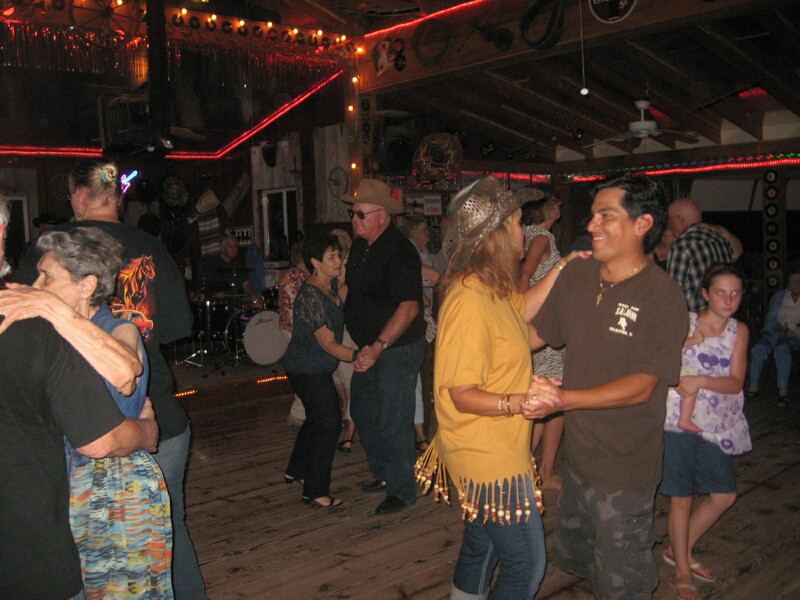 They have live music there every Saturday night from the first weekend in April thru the last weekend in October. It is a great family place and is a non-alcoholic venue. 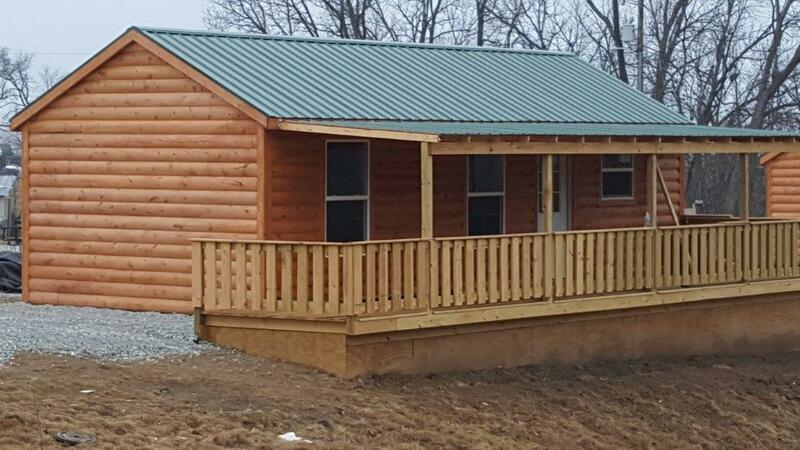 Four of these new cabins will soon have a nice large pond built right off the deck and will be fully stocked for fishing and have walking trails around its shores and through the timber. 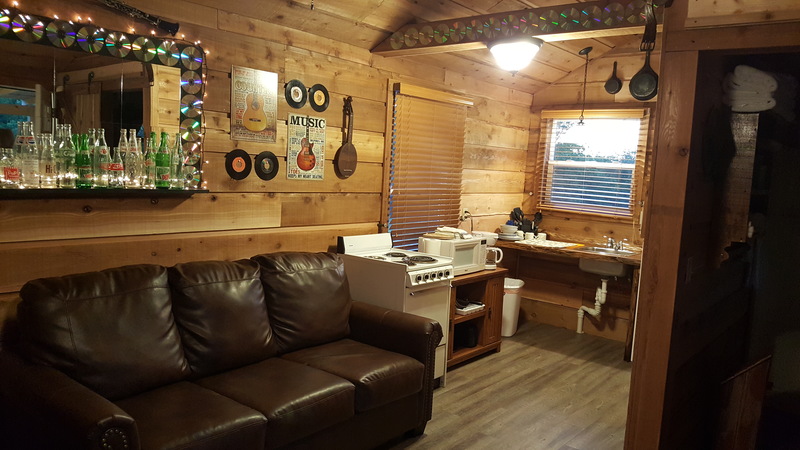 The Trading Post also has a fantastic bait and tackle shop, antique barn, mini-golf and soccer golf course and they build beautiful rustic up-cycled furniture. They have something for everyone. The last two new ones are the Railroad themed, named after Yogi Shrader and the Well’s cabin which is named for Jerry Wells. Jerry started the original Lake Vista Supper Club back in 1945 and the Lake Vista Motel in 1956. 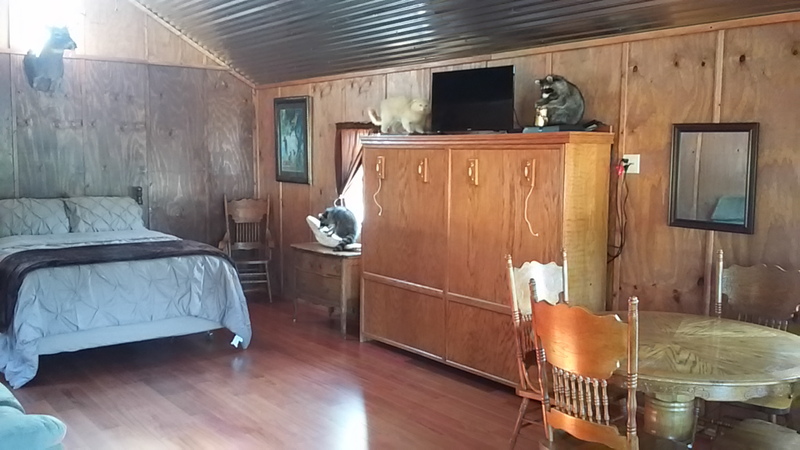 That cabin will be filled with all of the history of the property from the time it was built and will include lots of old time photos and antiques from the original property. 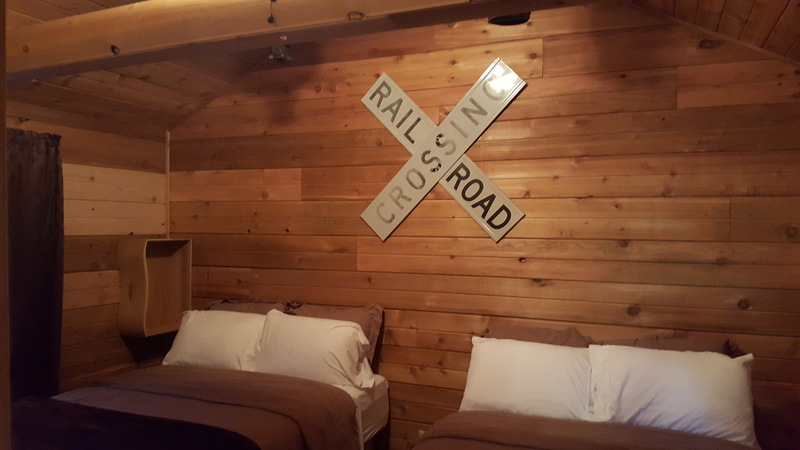 Yogi’s Cabin is filled with railroad memorabilia and personal belongings. It is sure to be a big hit with all of the railroad buffs out there. Besides the eight individual cabins we have eight rooms and suites in the main lodge and they are all themed as well. Some of them feature three bedrooms and two baths and have 6 beds so they will sleep a lot of people. We specialize in renting to families, construction crews, weddings, family and class reunions and large groups. 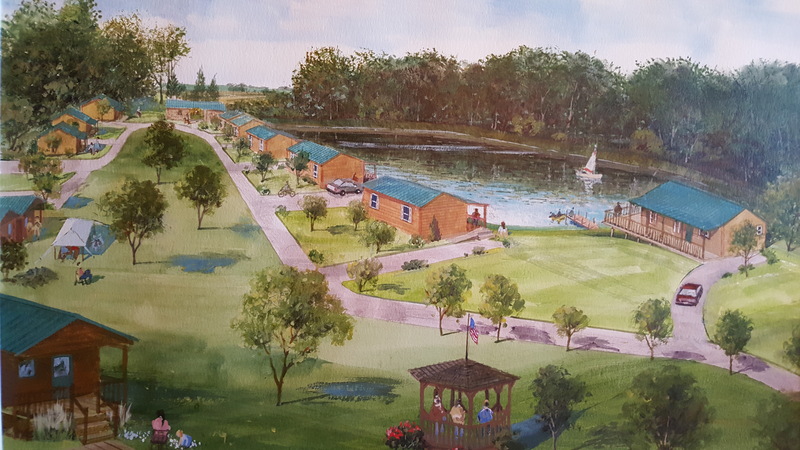 There is plenty to do in the area with Red Haw State Park right across the highway and trails leading right out your door down to the shore of Lake Ellis just a couple hundred yards away. Lake Ellis is the home of the Iowa State record flat head catfish caught in a fresh water lake. 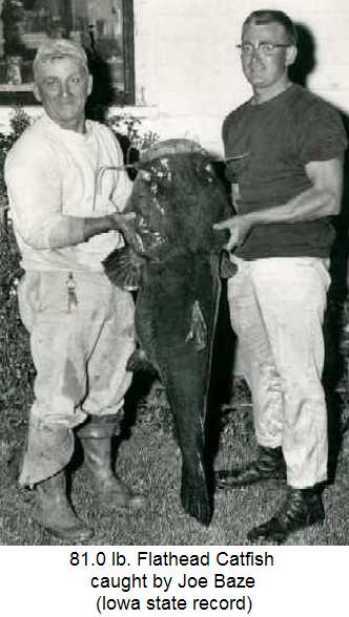 It was caught back in 1958 by Catfish Joe Baze! 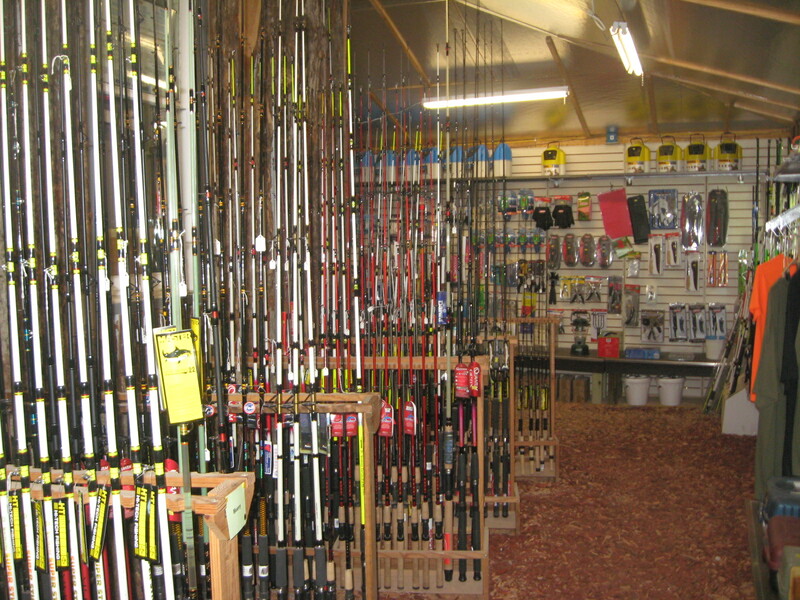 Grab a big pole from the Hook, Line and Sinker bait shack next door and try your luck. There are still some monsters in there. Whether you are just travelling through the area or in town visiting family or looking for a great place to spend your vacation make sure to check us out and stop in for a personal tour. I guarantee you will be surprised! Some of the best hunting is also located right outside your door with hundreds of acres of heavy timber and lakes surrounding our property. 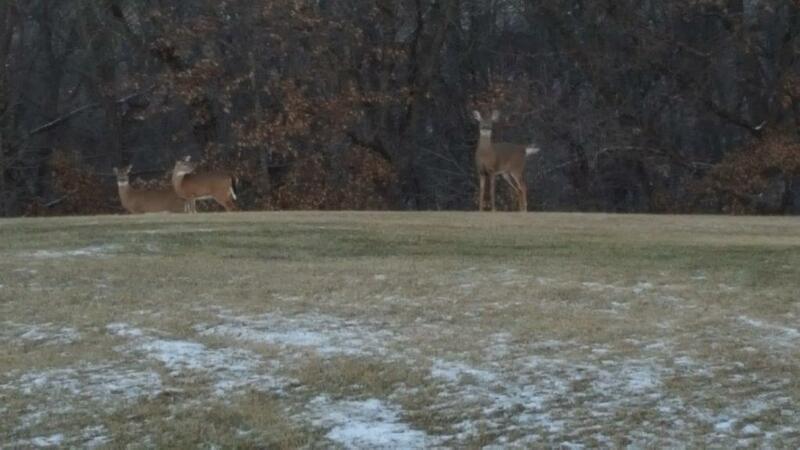 There are two BCA (Bird Conservatory Areas) located in Lucas County for those avid bird watchers also. 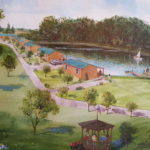 We have it all at Country Cabins so give us a try and check us out on the web at www.country-cabins.com or on Face book. ← CABIN LIFE, BIG FISH AND ROCK AND ROLL!! !